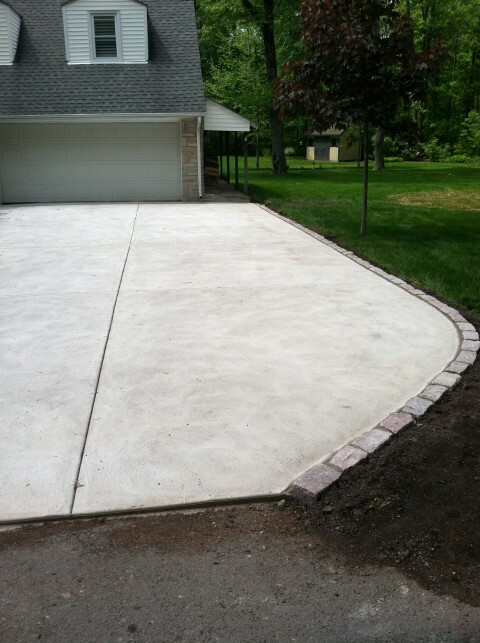 Concrete is a versatile product found vitually anywhere, from your driveways and sidewalks to stairs and basements. Lawrence A. Worthington Concrete Specialists has been working with concrete for decades, creating and repairing all types of applications. Today, there are many finishing options as well. Dyes added to the concrete mix add incredible depth, color and texture to any interior or exterior surface. Stamping can offer an array of looks, textures and patterns, such as natural stone and pavers. An option like this can be a more affordable option compared to laying down actual stone. Many properties in the Doylestown and greater Bucks County area also have sidewalks that need to be maintained. Our company has helped countless homes and businesses alike with repair work, eliminating unsightly walking paths and tripping hazards. Each project is a little bit different and an experienced contractor should take into account an array of factors including water drainage and runoff to sun exposure. For any project, our experts will come out and examine your project area, including soil tests if necessary, to determine what will be required to install or fix a concrete application and to offer our recommendation for results that will be long lasting and value added. For interior work such as basements, we can help to install drainage, such as french drains and sump pump systems to ensure that your basement stays dry and your work lasts. From there, we offer fair and transparent quotes detailing the agreed upon work and a general timeline for completion. Keep in mind that concrete can be worked with so long as freezing temperatures are avoided. Newly poured applications can be blanketed in cooler months, allowing it to cure without issue. Don’t let the cooler months deter you from moving forward on a project or fixing a much needed repair. If you are interested in new concrete work, repair or maintenance, contact us today!